San Diego, California – December 1, 2018. Key Housing Connections, California’s leading provider of hard-to-find corporate housing in cities as diverse as San Diego, Cupertino, and Sacramento, is proud to announce a series of new blog posts focused on San Diego corporate apartments as well as the final finalist for complex of the month for December, 2018, in Southern California. Top-of-the-line accommodations for traveling employees may be termed “serviced” or “furnished” apartments. The right fit for a busy VIP can include amenities to support a comfortable long-term stay in the cold winter months. Human Resources managers and other corporate decision-makers can review the new blog posts by Key Housing at http://blog.keyhousing.com/tag/furnished-apartment/ and http://blog.keyhousing.com/tag/serviced-apartments/. Searchers could describe a San Diego corporate apartment as a “serviced” or “furnished” apartment. In addition, the company is announcing that the featured listing for December is AVA at Pacific Beach. The property is a large complex available to corporate travelers. Interested persons can review the AVA location at; http://www.keyhousing.com/rightside.asp?action=form3&ID=839. Here is a background on this announcement. During the winter months, San Diego can experience cold weather. A walk along the beach in December might chill a visitor to the bone. Cozy accommodations including a warm fireplace could help a person warm up and relax. Business travelers scheduled to visit Southern California in winter might expect to stay warm and comfortable in an apartment. An HR manager could try several online search times to find one of the best San Diego corporate apartments. For these reasons, Key Housing has announced a new blog post. Business responsibilities in December might not stop business demands. A VIP could be scheduled to travel for work in the winter months. An online search for either “furnished” or “serviced” apartments can lead to the right San Diego corporate apartments for a traveling executive. In addition, Key Housing is giving “AVA at Pacific Beach” center stage for the month of December as the final, featured SoCal complex for 2018. The San Diego corporate apartments can provide professional and cozy accommodates for a VIP traveling through the winter season. 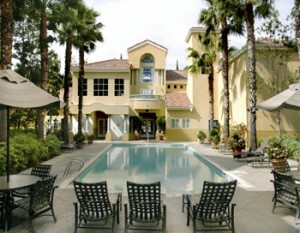 Based in Folsom, California, Key Housing Connections Inc. specializes in corporate housing and corporate rentals in large cities like San Diego, San Francisco or Los Angeles as well as smaller cities like Carlsbad, Studio City, and Glendale. Key Housing is a leader in affordable, friendly, short-term serviced apartments in places like San Francisco, Ontario, Costa Mesa and just about every city in California. Whether it’s furnished apartments or serviced corporate housing, search, click or call today!